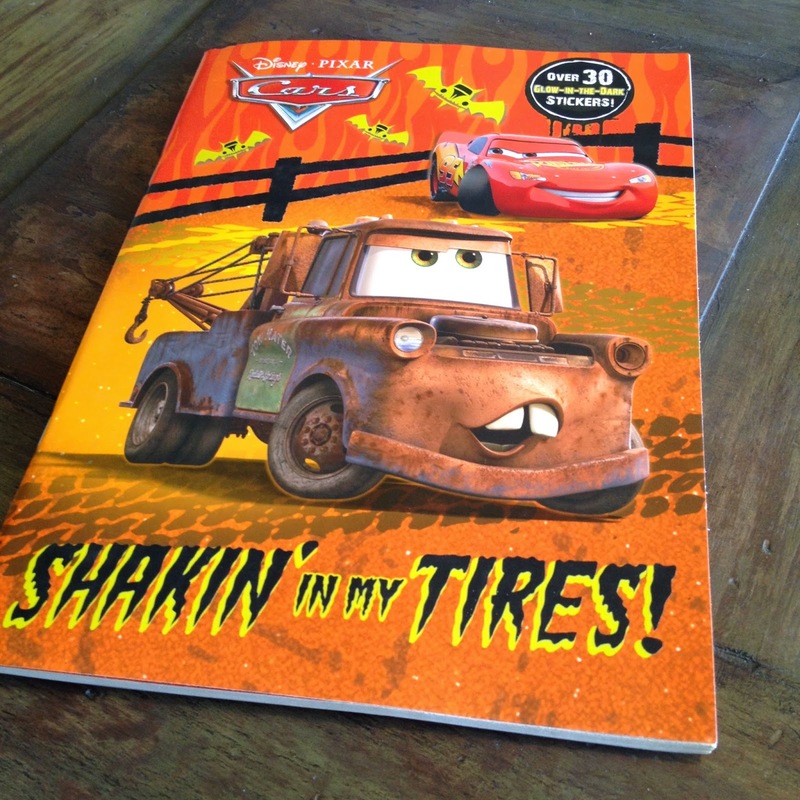 New for 2014, here we have a recent release from Golden Books..."Shakin' in my Tires! 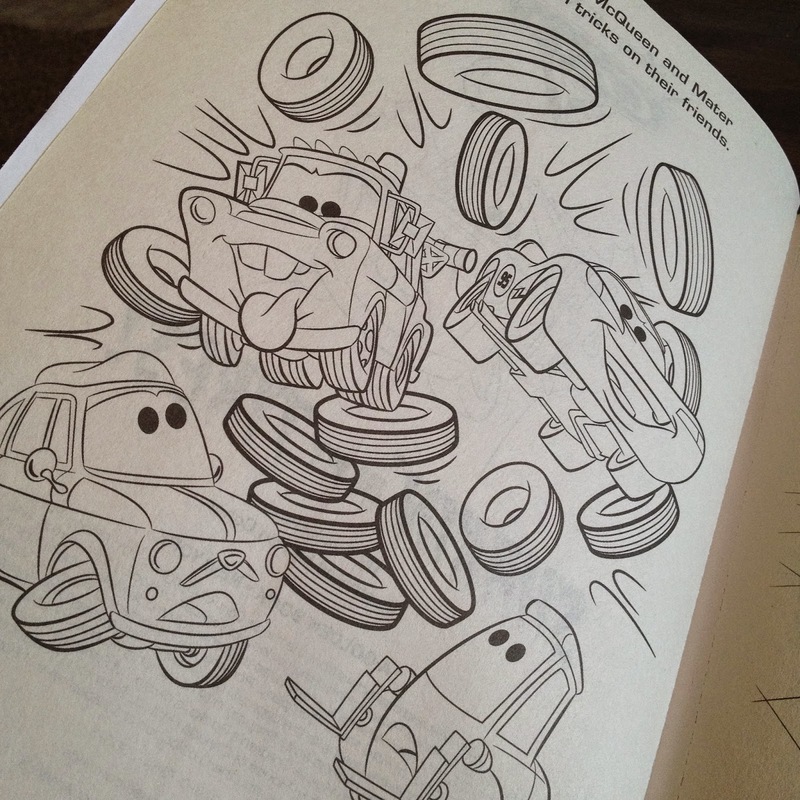 ", a Disney/ Pixar Cars coloring book with over 30 glow-in-the-dark stickers (38 to be exact). This is currently available at Walmart and possibly other similar stores as well. 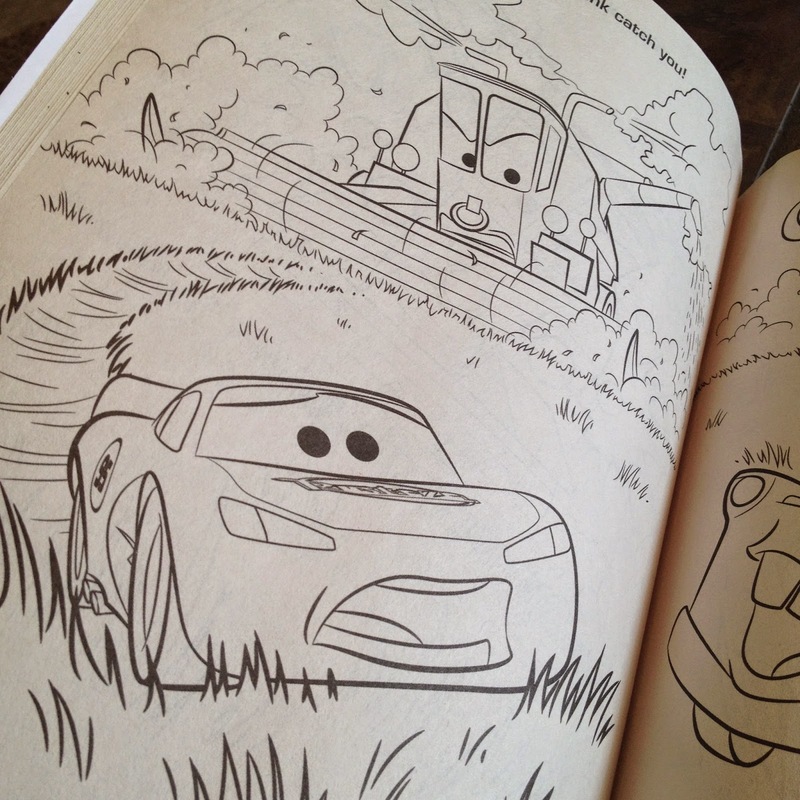 This coloring book is made up of 45 colorable moments from Cars, the Cars Toon Mater and the Ghostlight and other "spooky" scenes made up specifically for this book. 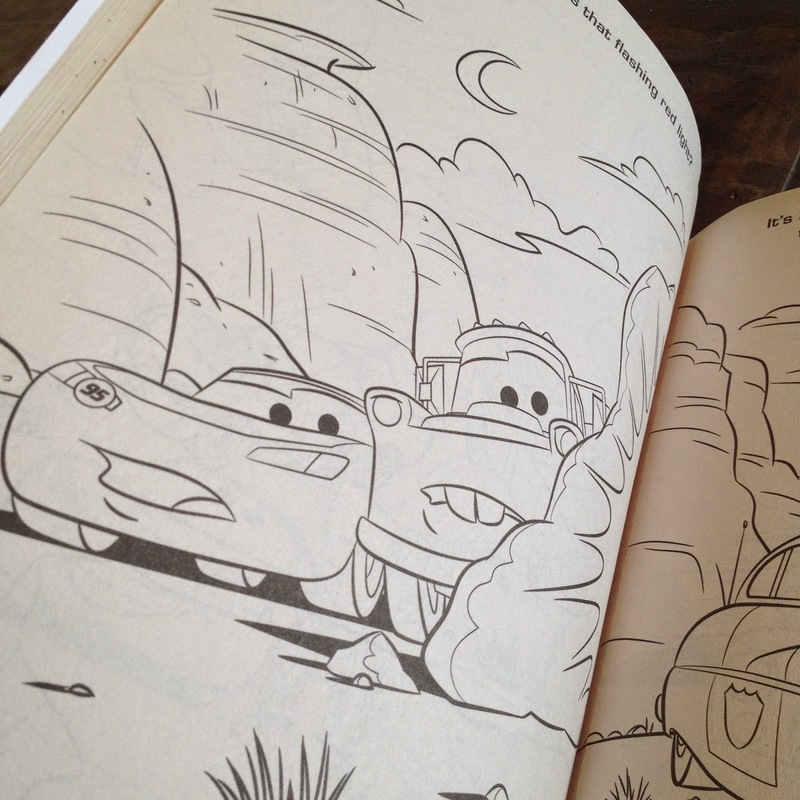 Unlike the similar Toy Story of Terror coloring book (shown Friday, seen HERE), this one does not include any games or activities. 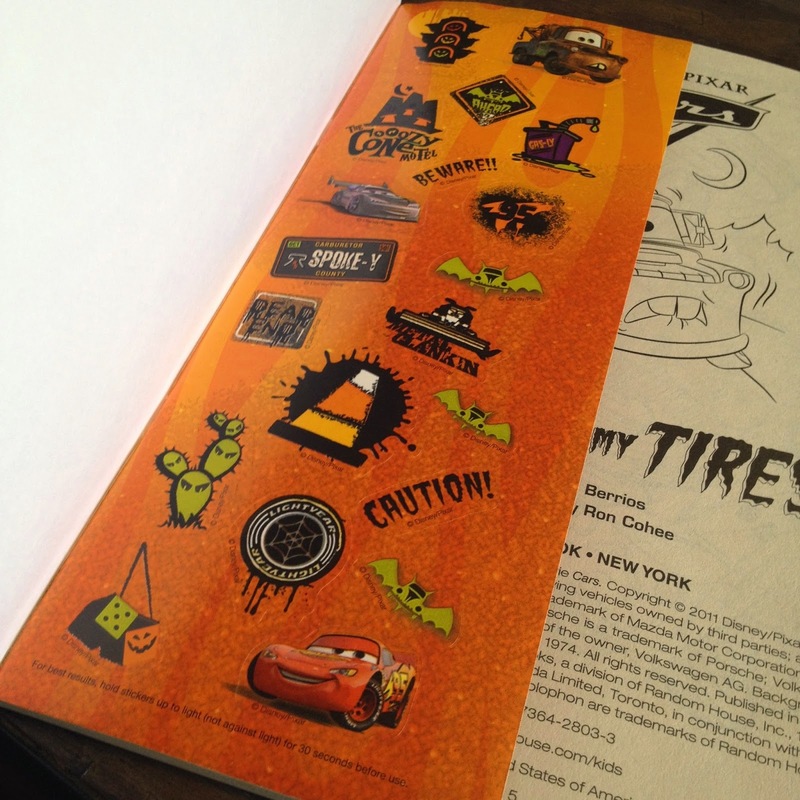 My favorite stickers included here have to be the "bat cars", the "Dead End" sign (since it's both car related and classically spooky) and the traffic cone candy corns. Very creative! 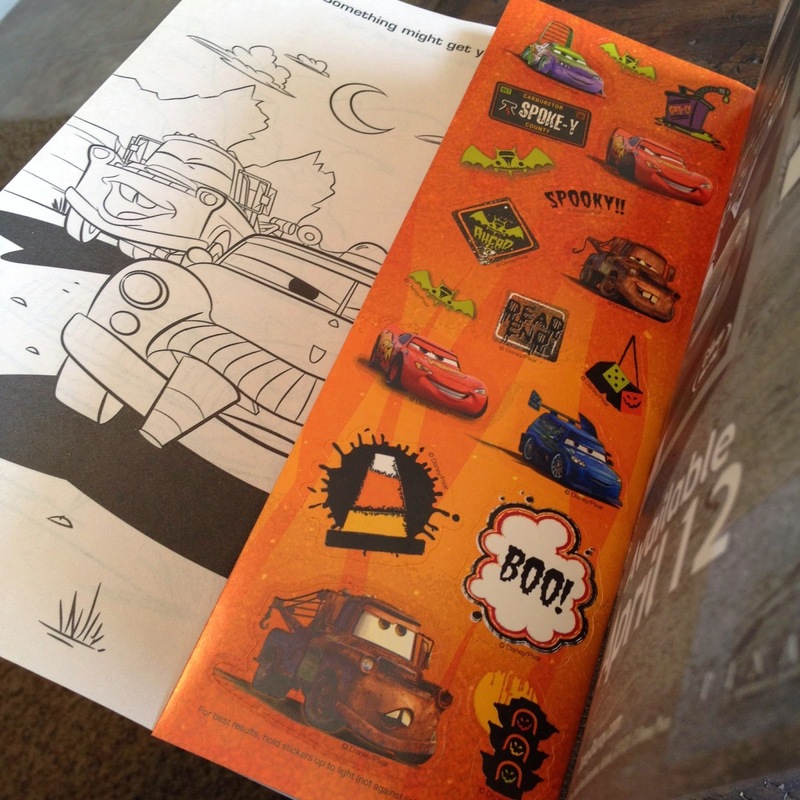 Thanks so much for taking the time to stop by and be sure to check back daily as more items from my Pixar collection will be added soon! Stay tuned.